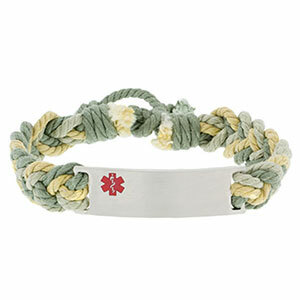 Light shades of olive green and gold make this brace so attractive. The cotton thread is very comfortable. Adjustable.